Al explicar las partes del top del quilt mencioné las tiras de tela que se colocan entre los bloques para enmarcarlos, dándoles más definición. No todos los tops las tienen, depende del diseño. When I explained the elements of the quilt top I mentioned the sashing which is the strips between blocks, giving them a greater definition. 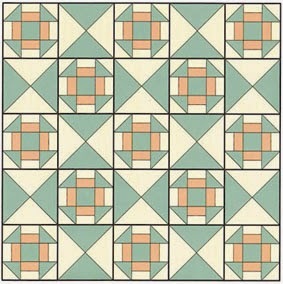 Not all quilts have sashing, it depends on the design. 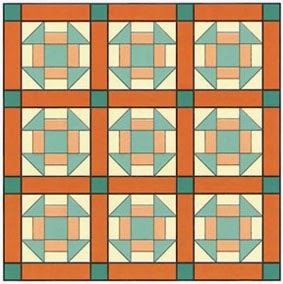 Las tiras pueden variar de ancho, en función del efecto que deseemos lograr, aunque también es un elemento que nos permite adaptar el tamaño del quilt. En las esquinas de cada bloque, entre las tiras, se pueden colocar cuadrados, para delimitar mejor el motivo o dar continuidad al diseño. 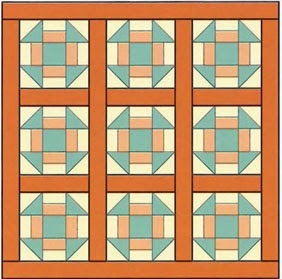 The strips can change of width, according to the effect we want to obtain, though also it is an element that allows us to adapt the size of the quilt. At the corners of every block, between the strips, squares can be placed, to better frame the motif or to give continuity to the design. 1- Cortar tiras de la misma longitud que los bloques y del ancho deseado. Coser alternando tiras y bloques. 1- Cut strips the same length as the measurement of one side of the blocks and the desired width. Sew alternating strips and blocks. 2- Cortar tiras de la longitud de la fila de bloques y del ancho deseado. Coserlas a un lado y otro de la fila. 2- Cut strips the same length as the joined row of blocks and the desired width. Sew the strips along the top and bottom of the row of blocks. 3- Si añadimos cuadros de esquina, el segundo paso cambia: cortaremos tiras de la misma longitud que los bloques y del ancho deseado y las uniremos intercalando cuadros que midan de lado igual que el ancho de las tiras. 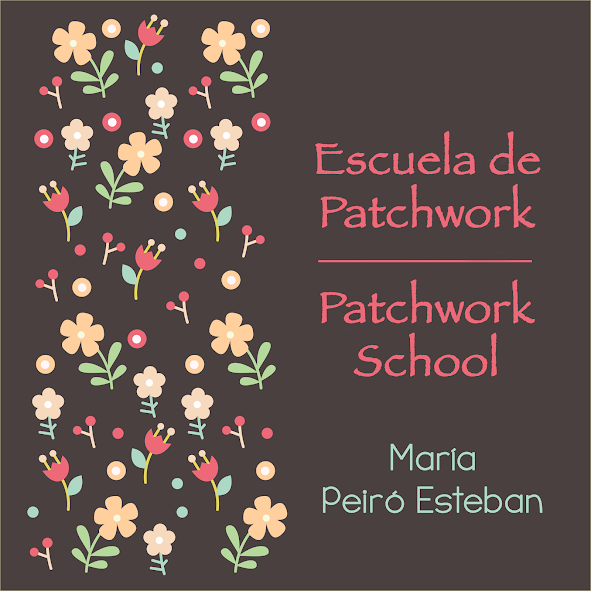 3- In the case of sashing with corner squares, the second step changes: cut strips the same length as the measurement of one side of the blocks and the desired width and sew alternating squares the same width as the strips. Existen otras posibilidades de enmarcado, como ensamblar los bloques en punta. 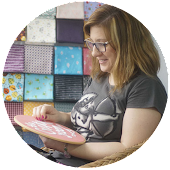 There are other ways of sashing, like blocks set on point.